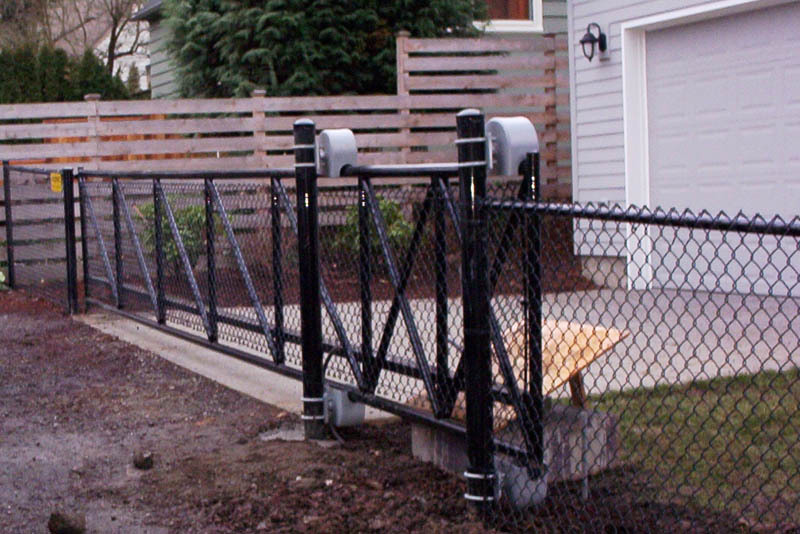 Cantilever Sliding Gate | Pacifice Fence & Wire Co. Perfect for situations where a standard swinging gate is inappropriate, cantilever slide gates are ideal solutions for driveways, security lots, and other wide areas. Instead of opening out or in, these gates move parallel to the fence itself. Depending on the construction, these gates can span, 10, 15, or 20 feet or more. 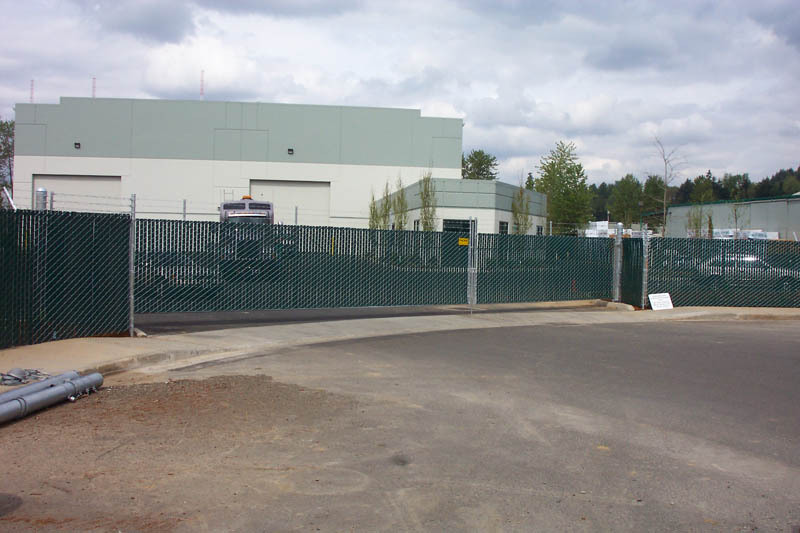 These types of fences are usually made of chain link and are found at warehouse facilities, ports, or other industrial operations. However, Pacific Fence and Wire makes custom cantilever fences as well for estates or gated communities. Our gates look great, provide security, and are easy to operate. No matter how attractive or easy to use a gate is, this is the Pacific Northwest – nobody wants to get out and open a gate during a rainstorm. We can automate your gates to open with a remote or keypad so you can stay dry and comfortable. And even though our gates are easy to use, automated gates can come in handy for larger, heavier gates as well. When considering automated openers, think about safety precautions. Sensors, photobeams, and other options make sure the gate stays open if something is in the way. 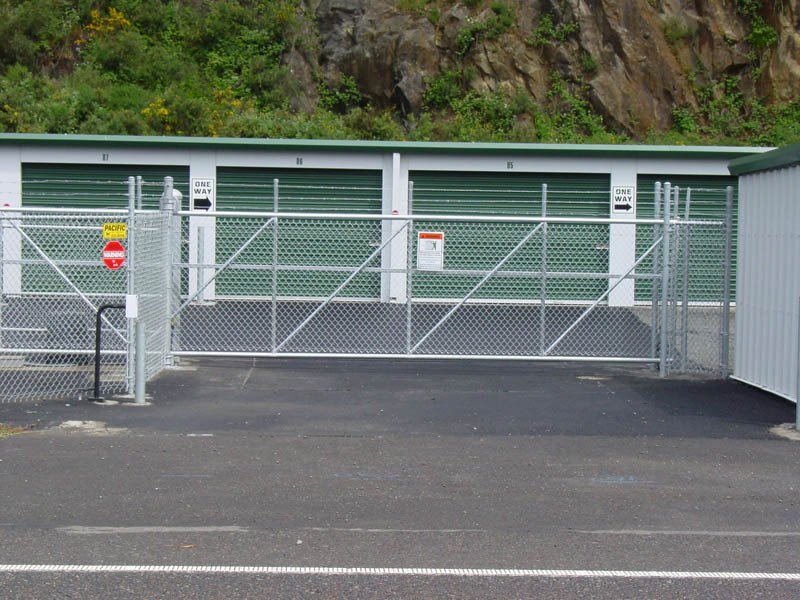 In many cases, cantilever slide gates are cheaper to automate than double swinging gates. With just one mechanism, these gates are easier to service and maintain, too. From commercial or industrial properties to easy access at home, cantilever swing gates can make coming and going a snap. 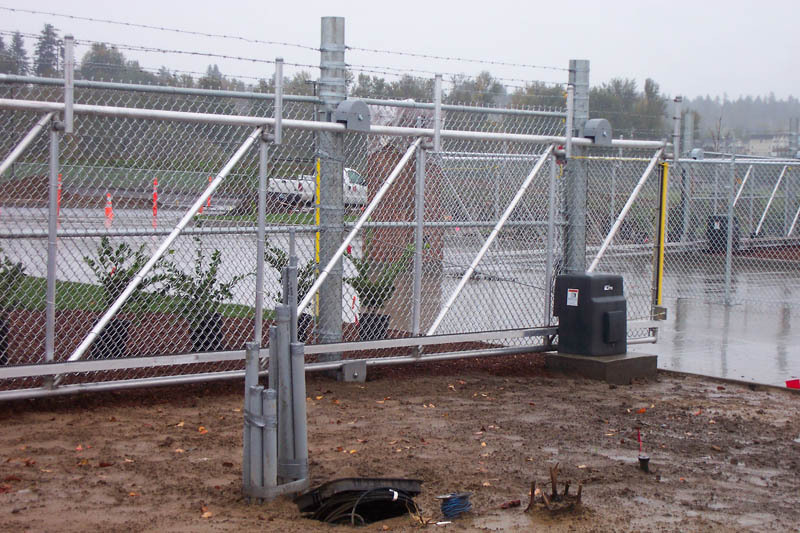 Pacific Fence and Wire has experience with it all and provides fast, efficient, and safe installation for any size gate you need. 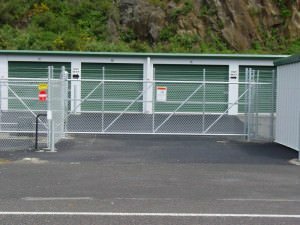 In addition to cantilever slide gates, Pacific Fence and Wire designs and builds swinging gates and fences in a wide variety of materials. We install small picket fences, gorgeous ornamental fences, and long-lasting security fences for residential or commercial purposes. For more information on cantilever fences or any other service we provide, give us a call today.